Reflexology is a natural therapy based on the discovery that there are points on the feet and hands that appear to correspond to organs, systems and structures within the entire body. This corresponding relationship is called a “reflex”. A reflex is when a stimulation at one point brings about a response in another point or area. 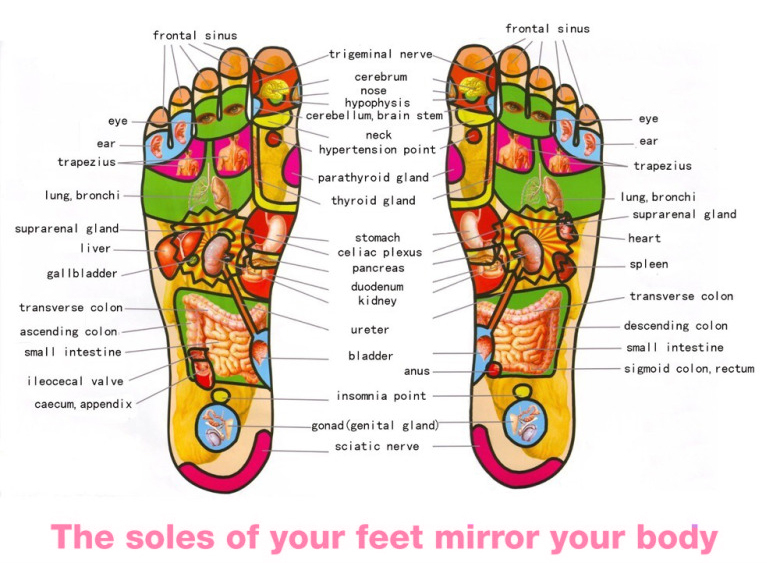 In reflexology, by using specific pressure techniques to stimulate the points on the feet or hands, imbalances in the tissues, organs and systems of the body can be both detected and effectively treated to restore balance and well being. It is important to be aware that REFLEXOLOGISTS are not trained to DIAGNOSE and treat a specific illness, we are trained to assess imbalances in the person and to treat by attempting to help the person’s own healing energy resolve these imbalances. 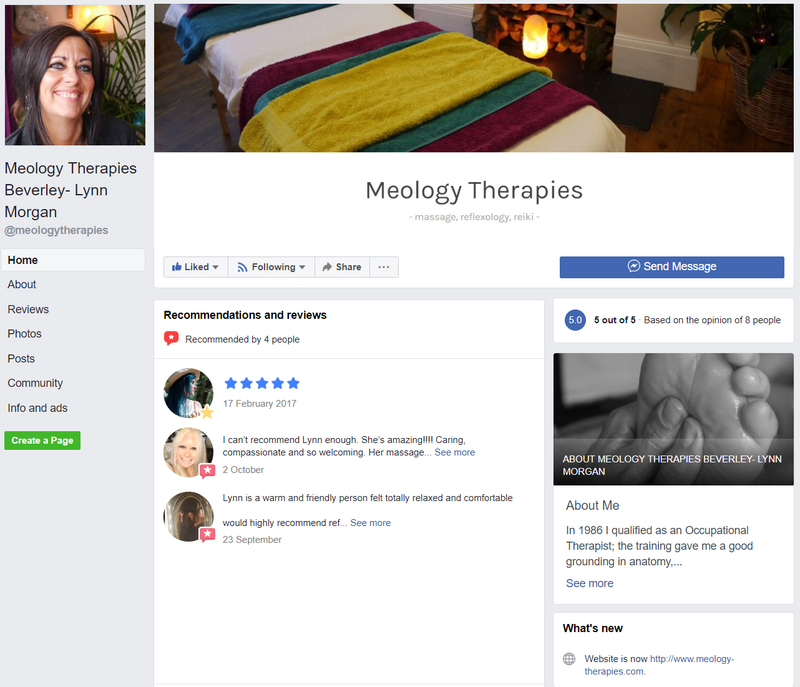 Reflexology works with our bodies “energy”, therefore reflexology can be described as a form of energy medicine, very different to allopathic medicine. This flow of energy has not been accepted by conventional scientific medicine. It is both an ancient and modern concept. Most of our knowledge of these unconventional energy systems comes from the spiritual knowledge of the Far East and India. This specialised energy system of the body absorbs and distributes life energy to our cells, tissues and organs via meridians. Meridians carry a type of environmental life energy called chi. According to theories of traditional Chinese medicine illness is mainly a result of an imbalance in the flow of chi energy to the organs of the body. Reflexology helps to rebalance the flow of life energy . The western perspective of how reflexology works would state that “touch ” therapies may reduce the perception of pain, as the touch impulses reach the brain before those of pain. Alternatively reflexology may work by stimulating the release of endorphins and encephalins, the body’s natural pain relievers and mood enhancers. However the physiological effects of relaxation are the most obvious way in which reflexology works , the relaxation response counteracts the stress response, thus preventing or alleviating illnesses triggered by stress. It allows our bodies to revitalise, rejuvenate and find balance, a necessity for good health. 1. Reflexology can help to manage your stress levels. 2. The placebo effect -this is about the power of the mind to influence the body, it is an example of how our expectations and beliefs in a treatment can cause positive change in our physical bodies. We don’t understand how this happens but it is real and powerful. It operates in conventional medicine as well as complementary therapy. 30% of subjects given drug placebos in orthodox medical trials also improve within measurable parameters. Our mind and emotions are intimately involved in any healing process and the importance of this is not to be ignored. 3. Reflexology restores mental alertness and improves attention span. By calming the mind we are free to think clearly and may come up with some of our best ideas. It enables us to be more productive and creative. 4. Reflexology promotes our emotional vitality- a sense of positive energy, engagement in life and positive attitude. Optimism protects us from illness. 5. Reflexology is preventative healthcare. Having regular reflexology treatments empowers us to take control and responsibility for our wellbeing. We become more aware of our bodies and mind, and we begin to understand the communication between the two. It is important to take time out and show ourselves care and consideration. Stress inhibits our bodies on all levels, a nurturing treatment , bringing joy into your life, that changes your outlook can have a huge impact on your body’s biology and ultimately on your general health.